After another run of uneventful cruises along unusually wind and rain free waterways I finished my last discovery day on Monday at 6pm at the head of the Calcutt flight. There’s a good mooring spot next to a straight section of towpath long enough for a single boat at the end of the lock landing. The alternative is a curved section of concrete next to loose and stony ground which is difficult to secure a pin in so I use it as a last resort. As there was already a boat moored on the straight section and as I had two free days before my next training day, I turned the boat in the unofficial winding hole next to the top lock, waved farewell to my day’s guests and then dropped down the Calcutt light in the fading light. Forty minutes later aided by my tunnel light I cautiously nosed through the marina entrance and for the first time in six months moored against the rusty dump barge which used to be my permanent mooring before I set off on my travels in April. It’s a beautiful mooring on a very quiet north western section of Calcutt Boats’ Locks marina close to the marina entrance. I have an open view of the marina to my left and the Grand Union canal beneath the lock flight on the far side of the grassy marina bank to my right. At this time of the year there’s very little traffic on the canal so there’s no sudden rush of water from an emptying lock to disturb the tranquility. I love mooring there but not as much as I enjoy the thrill of finding new peaceful moorings throughout the canal and river network miles from traffic and noise. A marina mooring may not be as tranquil or offer the wide views afforded by many river and canal-side spots but there are certainly some advantages. I dusted off my shore line and plugged in to the national grid and then relaxed happy in the knowledge that my batteries and my hot water supply would be constantly topped up without me having to remember to run my engine. Tuesday and Wednesday were pottering days filled with nothing other than gentle relaxation. The only work I did on the boat was to dig out the covers I had made for my side hatches and fix them in place. The guys who over plated my original wooden cabin did a very good job generally, but the side hatches aren’t a very good fit. A freezing and lively breeze used to blow through them in the winter quickly chilling an otherwise warm and cosy cabin. I had covers made for both sets of side doors and the hatches above them and for the rear doors and hatch. The three covers have made a huge difference to the cabin temperature. The £110 I paid for them was money very well spent. I’m not very good at sitting about doing very little though so by Wednesday afternoon I was itching to move again. I had a discovery day booked for Thursday so I spent forty minutes tackling the three lock flight once more before mooring on my thankfully free favourite spot opposite Napton reservoir. I spent a very pleasant day with my discovery day siblings; a sister hoping to leave a well-paid but stressful job and a brother along for moral support and a bit of a jolly. In fact, we had such a pleasant day that by the time we had negotiated our sixth lock the light was fading, as was any serious intention of me taking the boat back down three locks into the marina ready for my much anticipated engine cooling modification the following day. At the crack of dawn, 7am at this time of the year, I dropped down through the Calcutt flight and into the marina. I moored on the water point next to the slipway so I could top up my tank ready for the possibility of a few days out of the water or in the water but away from a water point. By 9am my boat was high and dry and Slipway Stuart, Calcutt Boats boat blacker, was busy scraping away ten square feet of the four coats of Miogard and bitumen Sally and I carefully applied in April. The paint had to be removed ready for engineer Ian to weld my new skin tank in place. I had expected a pre-fabricated tank to be hoisted into position and welded in place. 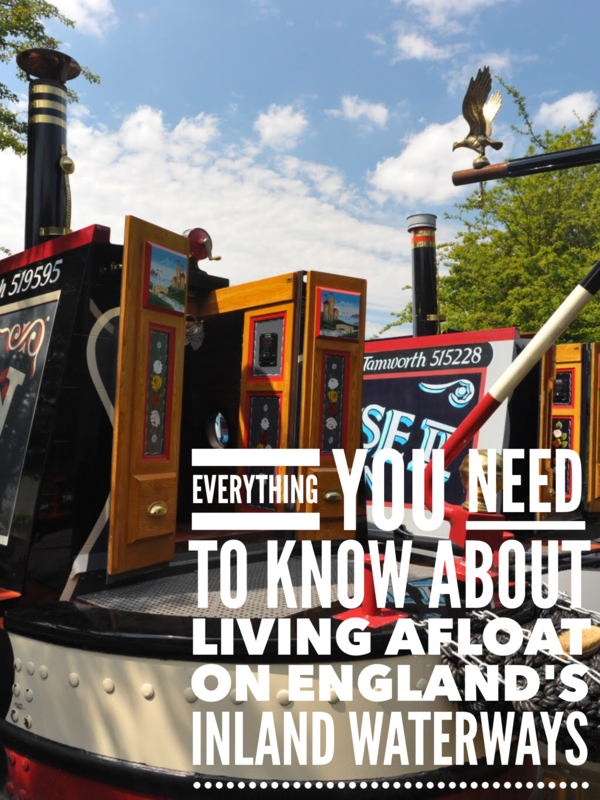 In hindsight – what a wonderful gift that is – I realised that getting a prefabricated tank to fit the curved and uneven swim of a forty year old boat would have been quite a challenge. Constructing a tank from scratch in half a day from sheets and strips of steel was also a challenge, but one which Ian rose to admirably. I helped him a little, either by leaning against the steel so he could heat and shape it, or by simply watching. Watching was actually a very important job. I hadn’t realised quite how disruptive and potentially dangerous welding a tank onto the exterior of the boat could prove to the inside of the engine room. As Ian welded each strip in place a line of blistering and furiously smoking paint appeared on the opposite side of the hull inside the engine room. I had to make sure that all wiring was held away from the area he was welding and wedge wooden battens under the five batteries in my leisure and starter battery banks to keep them away from excessive heat. I was warned to be particularly vigilant when Ian used his gas axe to cut a hole through the hull for the skin tank’s return. Ian warned me to watch out for flying sparks so I was perfectly positioned to watch them fly into the only space in the bilge I don’t – can’t – keep spotlessly clean. What little space there is under the engine is almost completely filled with steel ballast bars. A dozen or more gold ingot sized bars protected a wad of oily rag which has been there unseen and unreachable for longer than I’ve owned the boat. There was a brief but intense shower of sparks, some thick smoke and then flames bright enough to illuminate both the engine room and the look of blind panic on my face. I think it was the ladylike shriek which alerted Ian. He quickly climbed a ladder six feet to the stern where I was wildly gesturing into the bilge’s flickering flames. “Quick Stuart! Bring me a bucket of water,” Ian shouted. Stuart calmly walked to his slipway shed to look for a suitable empty receptacle, found an old bitumen tin and then, I suspect out of respect for my nice clean engine room, carefully began to attach a hose to the tap he uses for his pressure washer to fill the paint tin with clean water. “Just dip the f****g thing in the cut!” Ian commanded as the flames danced prettily around the bottom of the engine. Two carefully tipped buckets later and the fire was out. No damage done other than to my underpants, my heart and my life expectancy, so I resumed my lookout duties as Ian finished the last of his cutting and welding. He asked me not to write about the engine room fire in my newsletter but he has nothing to worry about. He did everything right. He told me to ensure that anything flammable was moved away from the side where he was working, he asked me to keep an eye out for any problems while he was working on the hull, and he quickly resolved what could have been a serious problem. The oily rag laying in the impossible to reach section of bilge under the engine certainly wasn’t his fault. After Ian finished the tank he asked Stuart to paint the bare steel with Owatrol rust protector. Thick bitumen paint isn’t a good idea on skin tanks. Too many layers insulate the tank and can cause overheating problems. I’m spending a substantial amount of money trying to cure one overheating problem. I don’t want to create another. The current exhaust outlet had to go. It was too low to work with my new hospital silencer so the opening was welded shut. The work made a mess of my red tunnel flash so Stuart found me some red paint and a brush. I cleaned, lightly sanded and repainted the flash as daylight faded then climbed a set of steps to my home in the sky. Living on a boat suspended six feet on the ground is an odd and often chilly experience. The water surrounding the boat in its normal environment acts as an insulator. The boat was noticeably cooler than normal on Friday night but the bird’s eye view of my surroundings more than made up for it. Saturday was a very wet day but thankfully not for the half hour I needed to be out in it. With an out of commission engine the boat had to be manhandled from the slipway to the engineering workshop 100’ feet away. Ian gently pushed the trolley holding the boat down the slipway into the marina. Slipway Stuart held on to a long rope attached to my bow. I stood on the back deck with my long pole. Once the boat floated free of the trolley I “punted” the twenty tonne boat over to its new mooring next to the workshop. It was wonderful exercise but I have much more respect now for the barge horses which use to pull fully laden working boats all day long. Ten minutes was more than enough for me. All Ian had to do to finish the job was remove a fitting from my thirty eight year old heat exchanger, fit a flexi coupling between the heat exchanger and my new super quiet hospital silencer and manufacture brackets to fit the large silencer out of the way so that any essential engine maintenance could still be done reasonably easily. After a great deal of huffing, puffing and manly straining, a little lost knuckle skin and many colourful expletives, the old heat exchanger fitting was off. Of course the new flexi coupling wouldn’t fit my old engine so Ian had to make one. With the flexi coupling and hospital silencer in place but not secured all that was left to do was manufacture the silencer brackets, lag he pipes either side of the silencer and cut a new hole for the exhaust. Rain and the impending start of the South Africa/New Zealand rugby world cup semi-final halted work at 12.30pm. The remaining welding and cutting couldn’t be done in the wet. I spent a leisurely afternoon watching the brutal and exhilarating rugby match and an evening indulging my guilty pleasure, X Factor, before retiring for the night in a bedroom gently lit by the site’s orange sodium lights. I was hoping that Ian would be in today to finish the installation. He suggested that he might come in to work for a few hours but it’s his day off so I can understand why he hasn’t appeared. Hopefully tomorrow the work will be done and I can take my new super quiet stealth boat for a spin. I’m looking forward to some quiet cruising and not having to answer endless questions about the unusual noise coming from the back of my boat. The most common of them is whether the boat is steam powered. I’ve started to tell enquirers that it’s a prototype jet propulsion system for the new breed of faster inland waterways craft often purchased by highly stressed boating enthusiasts with far too little time to cruise at the normal slower pace usually seen on the waterways. Sadly because of the noise I haven’t been able to hear their follow up questions but I can tell from the bemused looks that they either don’t believe me or they don’t think it’s a particularly good idea. I’m going to spend a couple of hours now cleaning the engine room and removing Friday’s fire water before the 4pm kick off for the Australia/Argentina match. I’m going to turn up the volume very loud to try and drown out the annoying drone of an electric sander being enthusiastically wielded in the paint tent next to my boat. I run my discovery days roughly on the first ten days or so of April, June August, October and December. As winter approaches more and more site users are booking the relatively few discovery days still available. There are just six dates remaining this year. If you are interested in joining me for a fun and information packed discovery day please check the diary before it’s too late. ou may want to stay locally the night before, the night after or both, in which case I highly recommend this B & B. It’s a five minute stroll from the mooring where I begin my discovery days. did you have the engine internal cooling circuits checked for scaling/fouling? After more than 30 years of raw water cooling I think there could be some deposits which will interfere with cooling? If the effectiveness of the raw water cooling was the only issue then I would probably have had the engine checked for scaling. However, the main reason for switching to keel cooling was the unbearable noise. The modification has now been done and the difference is incredible. I heard some unusual sounds when I took the boat out for a half hour trial this afternoon. The odd sounds were the natural sounds of the waterways which have been drowned out for the last five years by a steam train like hissing. I am very happy with the modification.